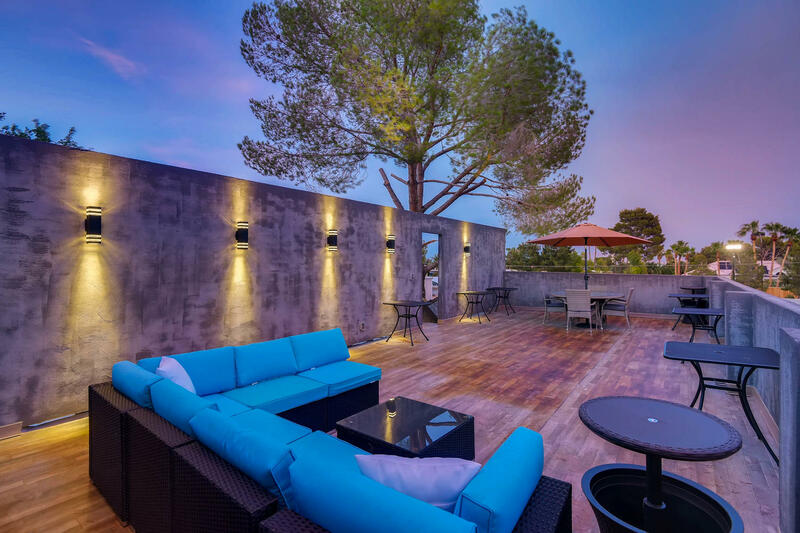 Need a venue for your wedding, special event, corporate event or just a Vegas getaway? These homes are the absolute best in Las Vegas, Period. First class accommodations at a fraction of the cost of a 5-star hotel. Several properties to choose from and Kiss the Cook Catering is a proud supporter of these mansions. Roxanne at Kiss the Cook Catering. 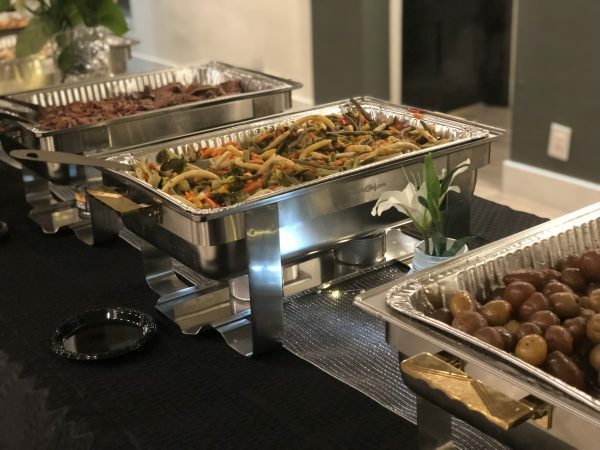 If you book Kiss the Cook and one of the mansions for your event Kiss the Cook catering will give you 10% off your catering bill. All you need is love, love is higher than a mountain, thicker than water, like oxygen, in the air and of course on your plate as they say the way to one’s heart is through their stomach! As the chef for “Kiss the Cook” catering, I’m often asked what meal I prepare for my beautiful wife and business partner Roxanne on Valentine’s Day. McDonald’s used to have a famous slogan “over a billion burgers sold” and while “Kiss the Cook” catering of Las Vegas will never approach those astronomical numbers, we are feeding lots of great people and receiving lots of amazing compliments on the Kiss the Cook catered food and the catering services that we provide, and we prefer the quality over the quantity! 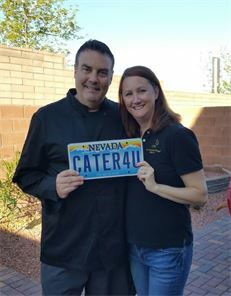 Click below to listen to the audio interview with Chef Eddie of Kiss The Cook Catering of Las Vegas. 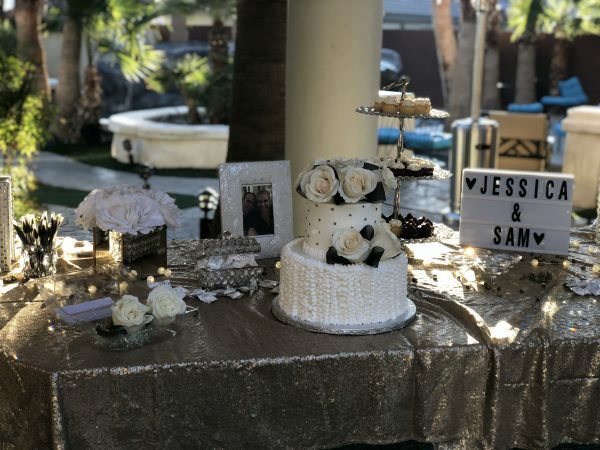 Las Vegas Catering by Kiss The Cook Catering! Food is the BEST way to pay it forward! “All Aboard” with Kiss the Cook! All Aboard for an amazing catering express! 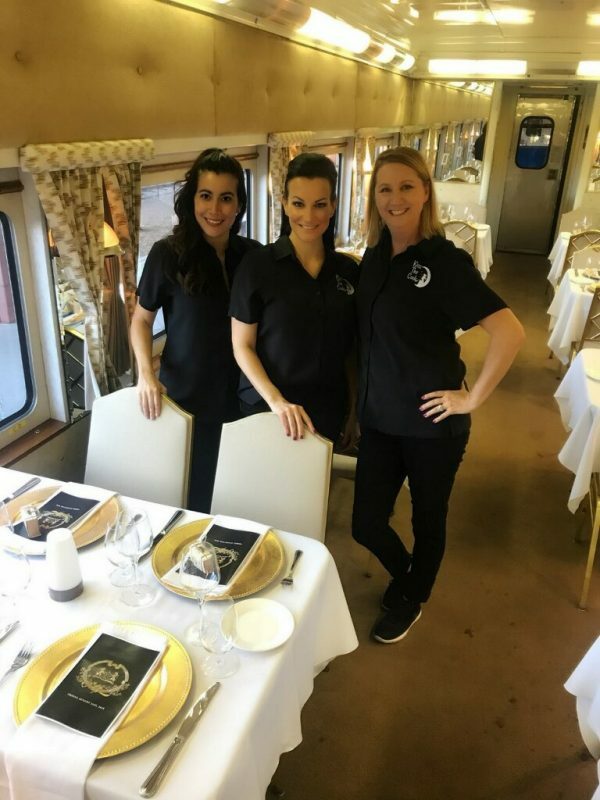 Traveling by train was pretty swanky back in the day so it was a wonderful experience for ‘Kiss the Cook” catering of Las Vegas to be the caterer of choice for a special birthday party celebration aboard the historic train of Boulder City, Nevada for a dining experience that was unique and delicious! 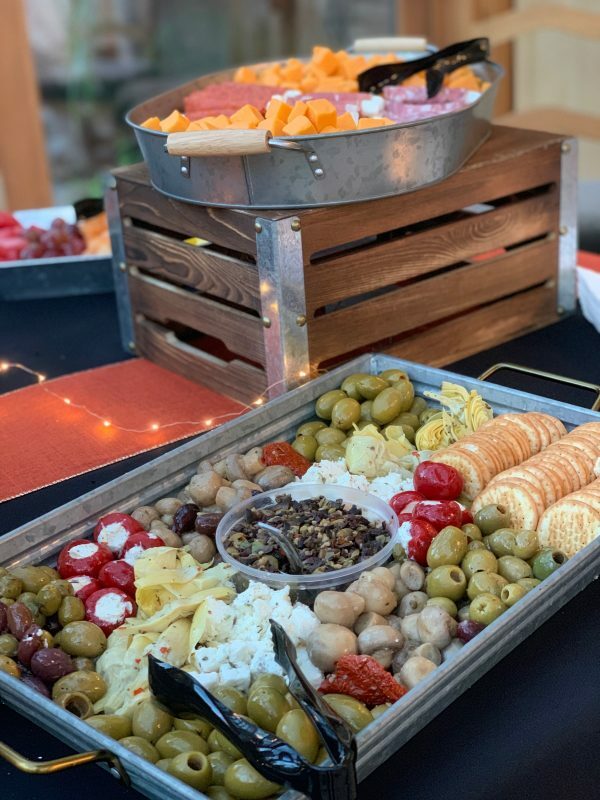 Dignity Health, which is celebrating over 70 years in Southern Nevada, recently had Kiss the Cook Catering host a night of appreciation at their newest facility. Kiss the Cook served filet mignon crostini, crab cakes with a remoulade sauce, caprese salad cups and smoked salmon bites. 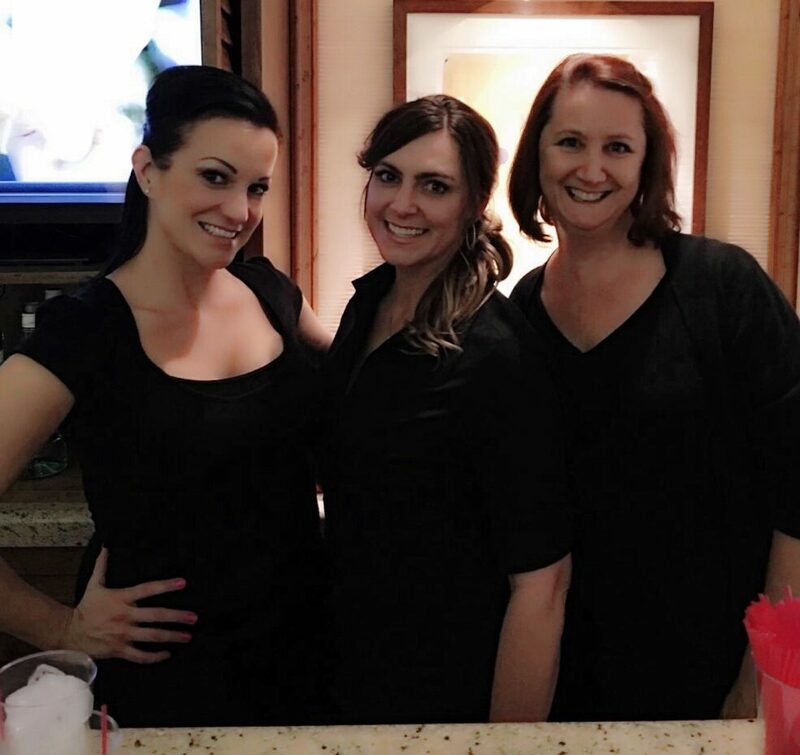 They also used our “On the Rox” bartending service for the event. 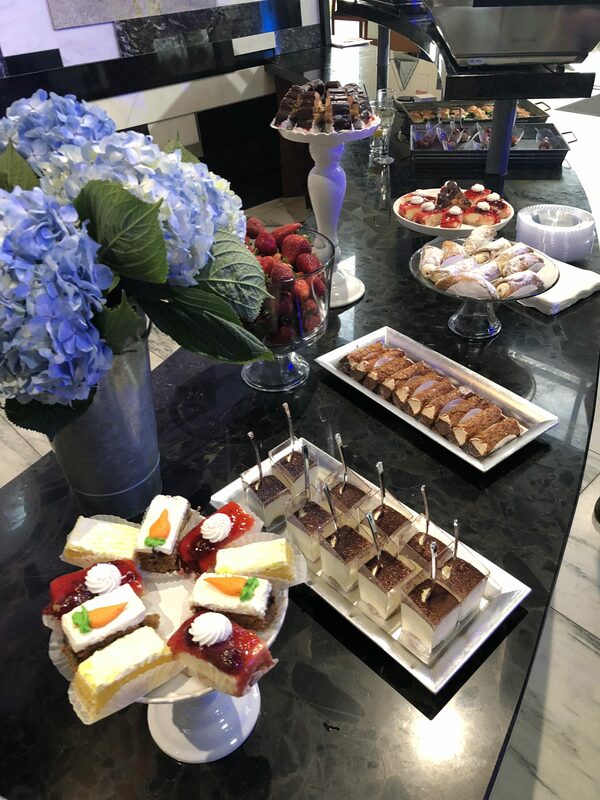 The celebration was well received, and the client was very impressed with the food and service. Sure to be another repeat customer for Kiss the Cook! 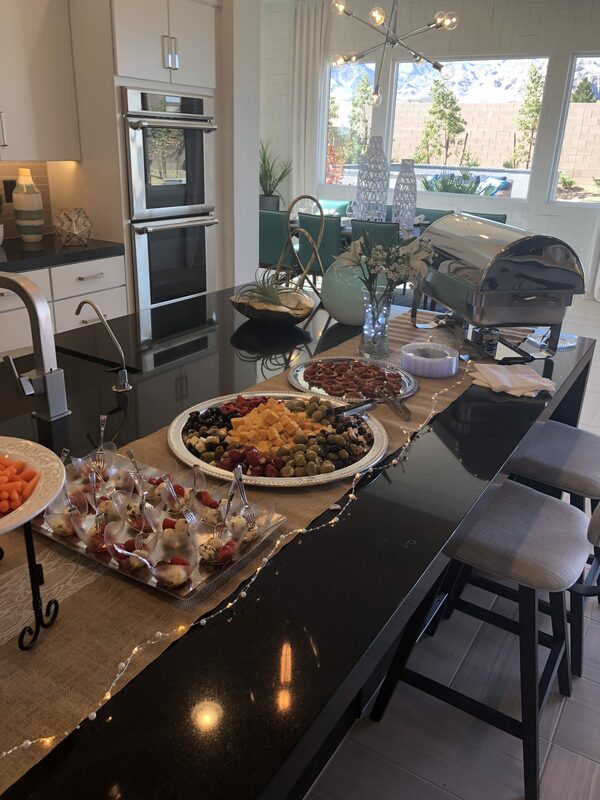 If you are in the real estate business everyone knows the saying “Location, Location, Location!” Well if you are in the catering business its “Location, Delicious and amazing food delivered to your location, Location!” I got to work a little on the slogan, but I think you get where I’m going with this. 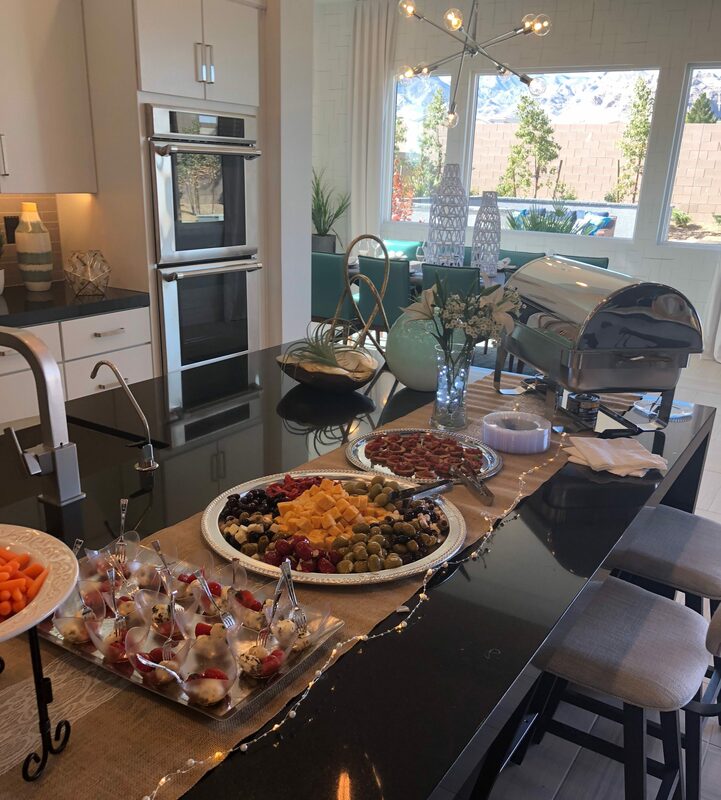 Recently, Kiss the Cook Catering provided some amazing appetizers and incredible desserts to Pinnacle Homes open house showing of two new houses in the Northwest. The houses were stunning, and the event was a huge success. 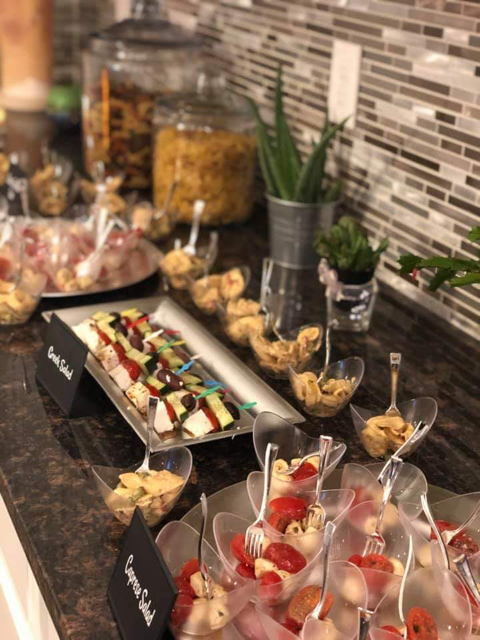 In one house Kiss the Cook featured mouthwatering jalapeno poppers, filet mignon sliders and mini crab cakes and in the other showing were awesome deserts like mini cheesecakes, fresh fruit and homemade cookies. You can make a difference in the fight against hunger! 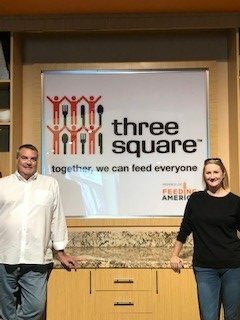 Three Square is a “Feeding America” affiliate that provides food directly to hungry people, with over 40% being children, so they get the food and nutrition they need. For every dollar given, Three Square can provide up to three meals for hungry families, seniors and children in need. Kiss the Cook Catering supports this amazing cause and hopes you can too. Together we can feed everyone! I Do to Marriage….and Food! Since this is Vegas let’s make a bet. I’ll bet that you could walk in a room of 100 married couples and ask how many of you were married by the Chef at your wedding? Pretty safe bet that not one would raise their hands, right? 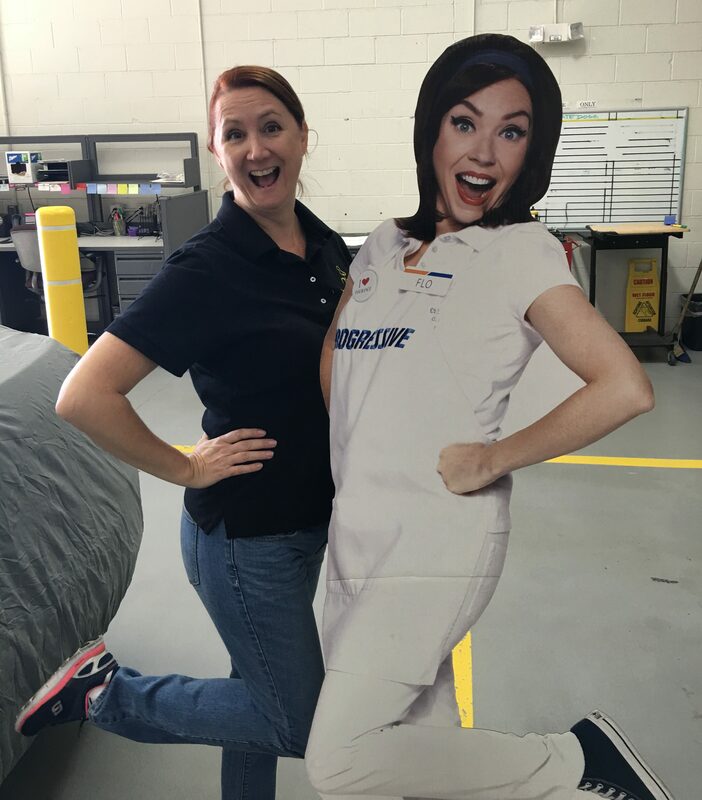 One of the most popular advertising campaigns on television is the Progressive Insurance spots featuring Flo the insurance lady. 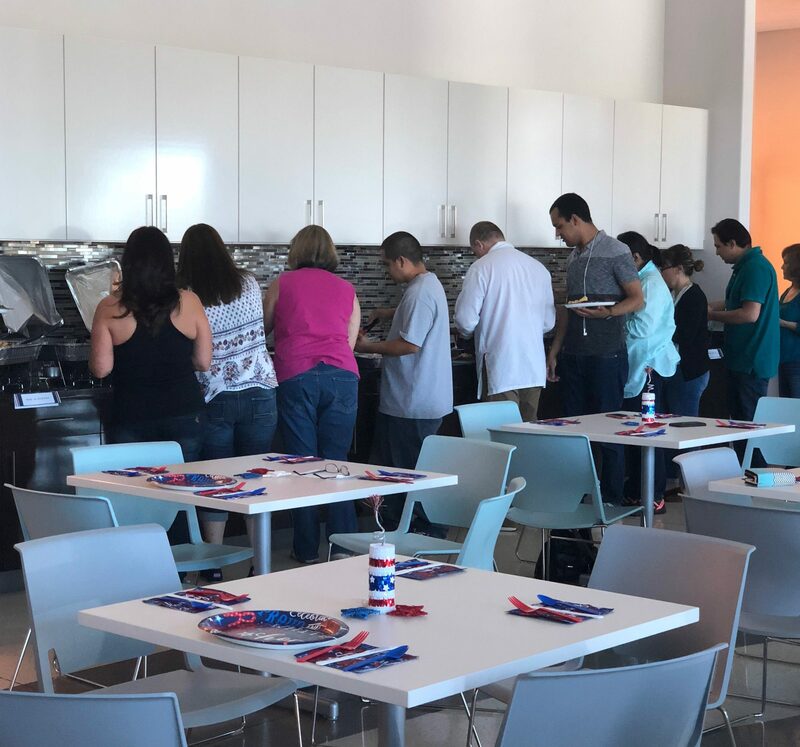 They’re very clever and funny so it was an honor for Kiss the Cook catering to serve Flo and the Progressive Insurance team for three years in a row to honor Veterans and to give a car away to a family in need! 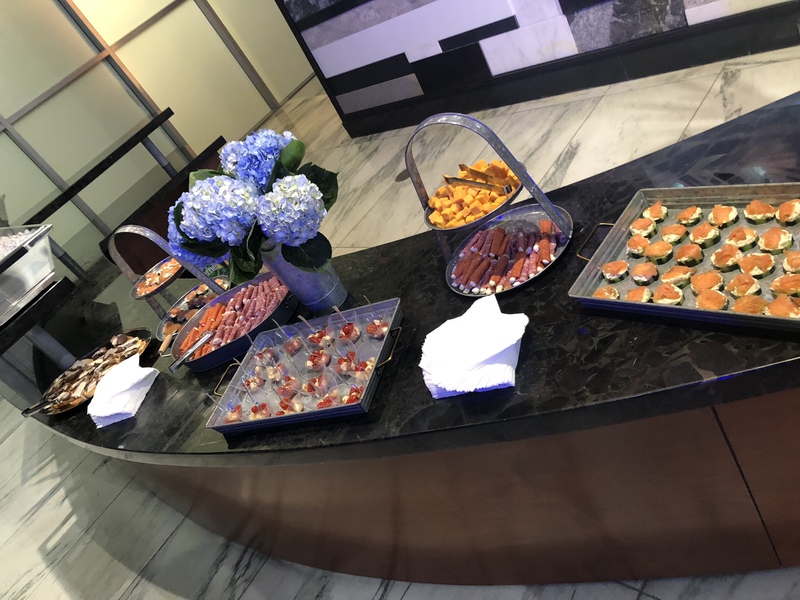 We served some amazing food including glazed salmon, meatballs, pasta, Caesar salad and Flo’s favorite Toasted Ravioli! with home made marinara for dipping. Great day, great people and a great cause! “Food glorious food” is not only a song from “Oliver” it’s a celebration of life. I know deep huh? But think about it for a minute. 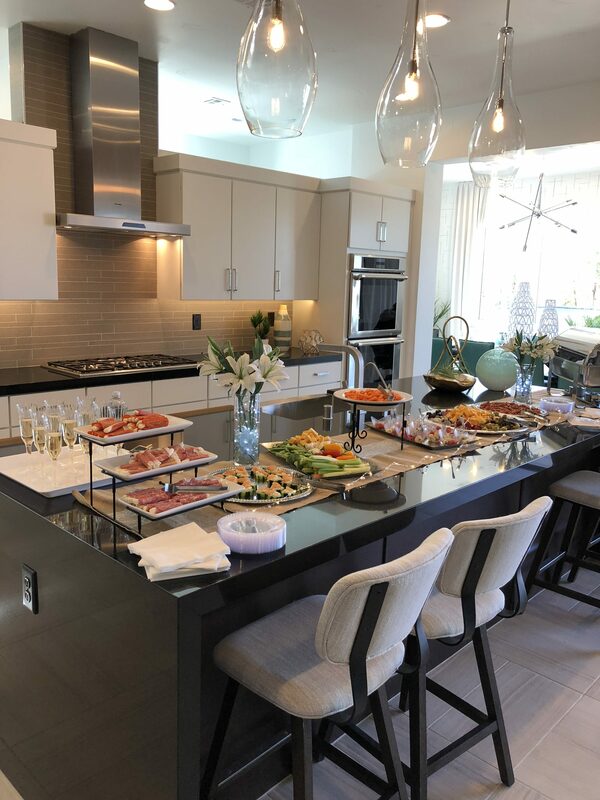 Imagine a family get-together, a vacation, a special occasion, lunch with friends, breakfast in bed, a late supper, a romantic dinner for two and many other gatherings. Most of these events are centered around food. 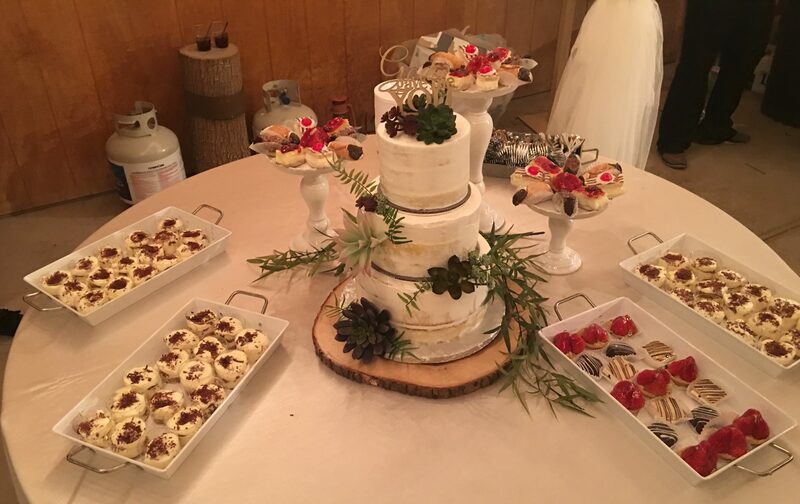 Kiss The Cook now offers healthy menu and/or vegetarian options for you and your guests. 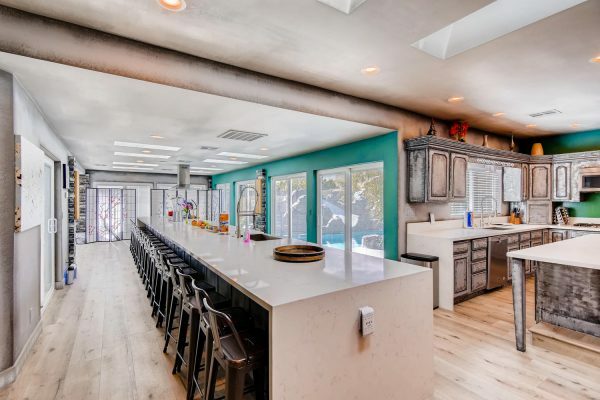 Need a Bartender for Your Next Event? Well look no further because the bar is open! 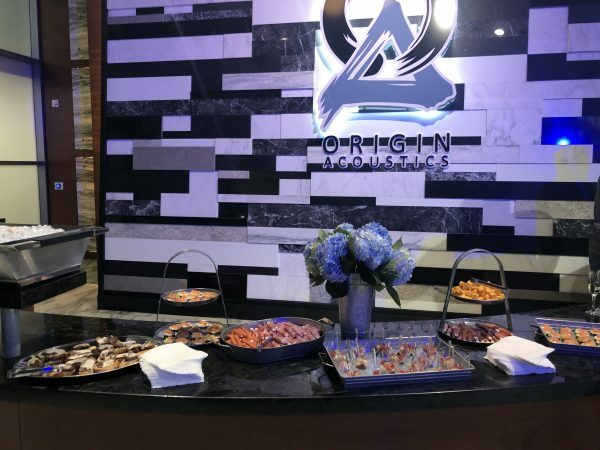 Kiss The Cook Catering is proud to announce our new company called “On The Rox” for all your bar-tending needs! 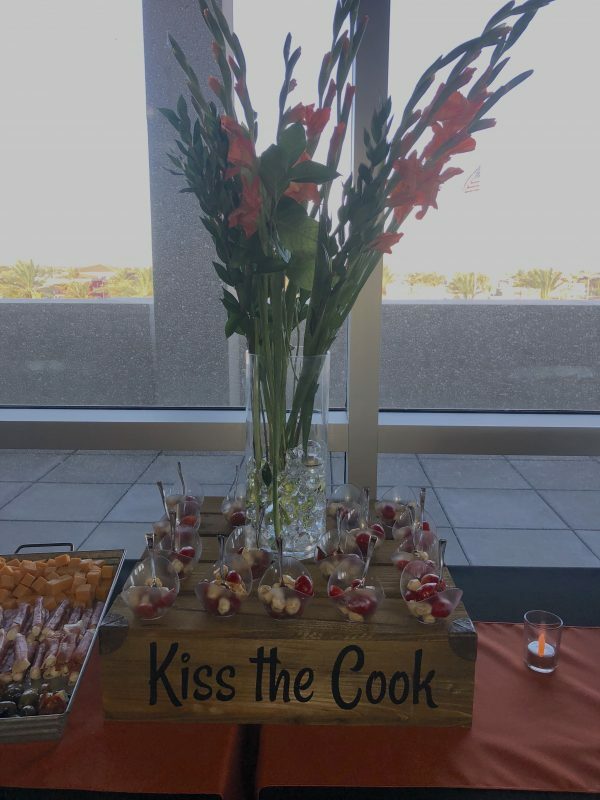 Kiss The Cook Catering has catered everything from backyard parties with fall off the bone ribs and baked beans, to formal affairs with filet mignon and lobster. We can work with any client! But our most important client is..YOU! Ok, we admit that’s a little corny but it’s true! 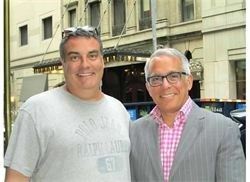 Chef Eddie & Iron Chef Jeff Zakarian in New York City! We are a small family-owned company with a simple philosophy: Serve amazing home-made food using fresh quality ingredients, and offer it at a reasonable price! 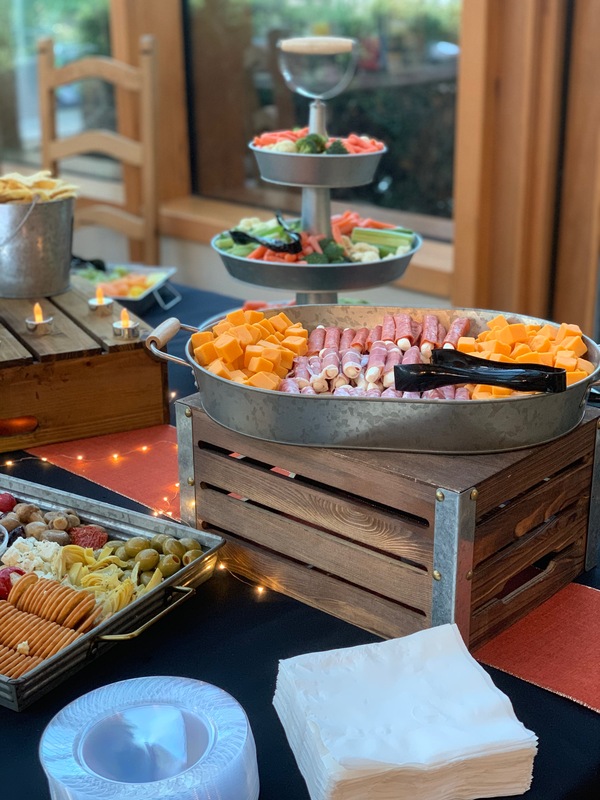 Since 2009, we’ve catered everything from backyard parties with fall off the bone ribs and baked beans to formal affairs with filet mignon and lobster, so we can and will work with all budgets! 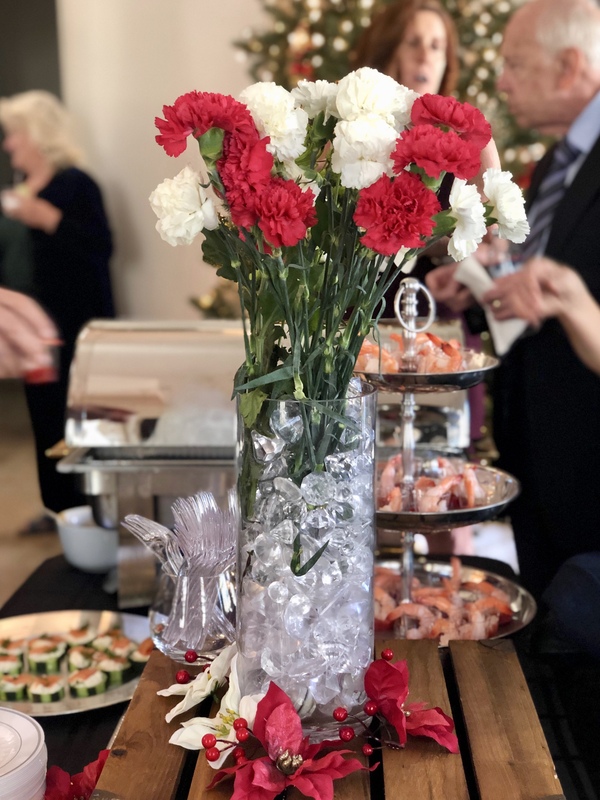 The bottom line is that we work with you on all the little details to make your special day, party or social gathering the best it can be. Great food, unsurpassed customer service affordable prices. 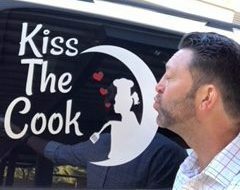 Sounds simple but that’s “Kiss The Cook” catering. Fully licensed, insured, permitted and yummy! Onsite at a Pinnacle Open House Provideing Full Service Catering.